Join us this December for a rejuvenating yoga, mantra and massage retreat in the beautiful jungle of Goa, India! On the land of Dudhsagar Plantation we will make a journey inwards using gentle yoga practices, mantra singing and the healing practice of Thai Yoga Massage. A relaxed, calming, small-scale retreat with lots of free time to connect with yourself and each other in a loving and natural space of being. Learn traditional Hatta Yoga and Meditation Techniques in the serene environment of Dudhsagar Plantation. 'The Spirited Traveller' is a new show by chef Kiran Jethwa in which he travels across India to explore and experiment with local beverages. Sonal and Sandro (@drifterplanet) travel like happy hippies. They visited us recently and here's what they write. 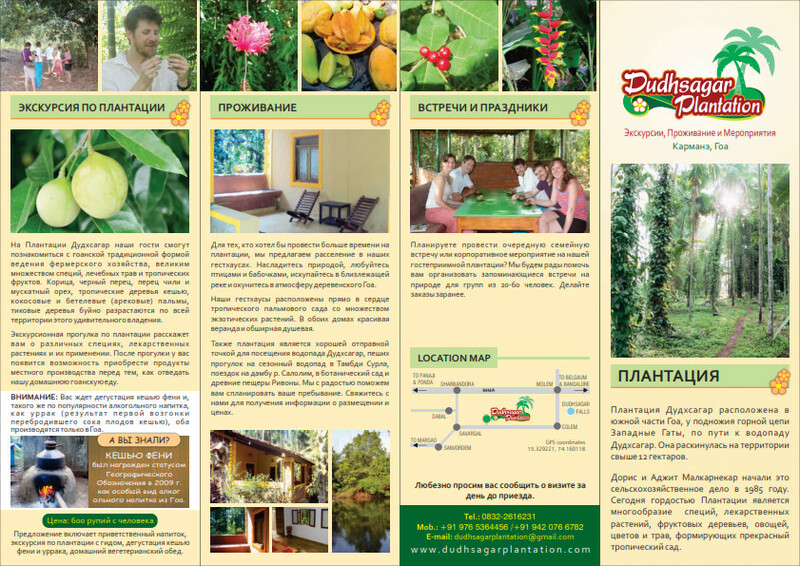 Добро пожаловать в Гоа – Welcome to Dudhsagar Plantation!